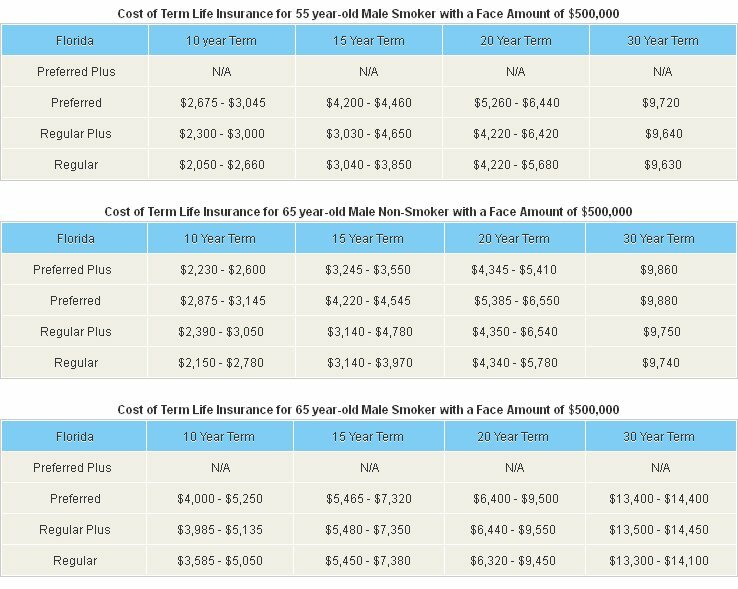 What Can I Expect Life Insurance to Cost? Your costs are determined according to several variables, such as your health status, age and the amount of coverage/death benefit that you are applying for. As with most insurance underwriting, the younger and healthier you are, the better your chances are of getting a good rate on your policy. 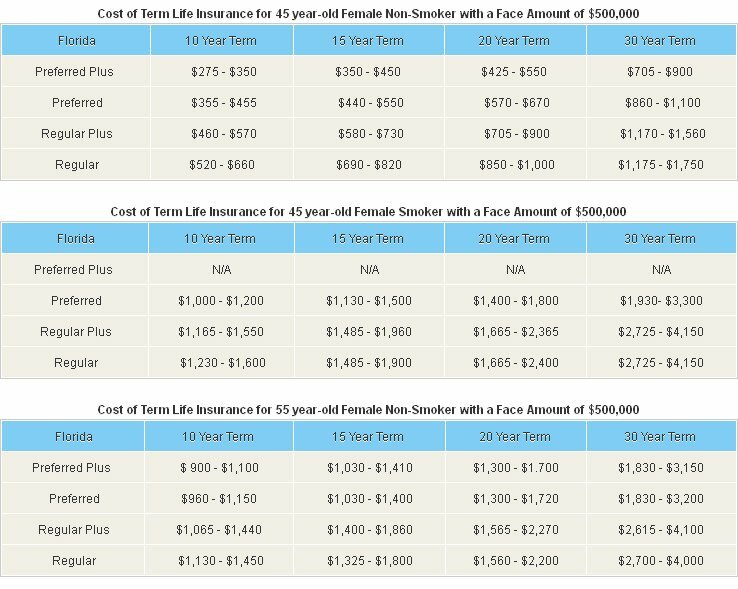 For example, a 45 year old woman with good health status who is buying 20 years' worth of coverage, including a fixed premium could expect to pay approximately $400 per year for half a million dollars' face amount. A man with similar health status could expect to pay double that cost. Somebody who is in their sixties can pay as much as $3,500 per year. Generally speaking, you should ideally purchase a policy when you are young and physically fit. Those opting for a cash value policy should expect to be charged much higher premium rates. This is because there is an investment product as part of a universal life policy which enables beneficiaries to borrow money against it. 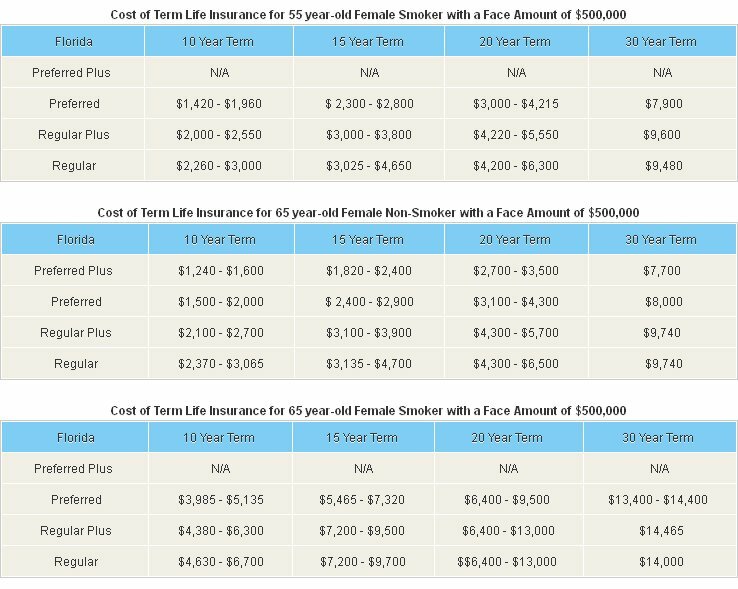 Whole life insurance will cost up to ten times that of an equivalent term policy. Somebody above the age of forty with a good health status could pay as much as $4000 per year. 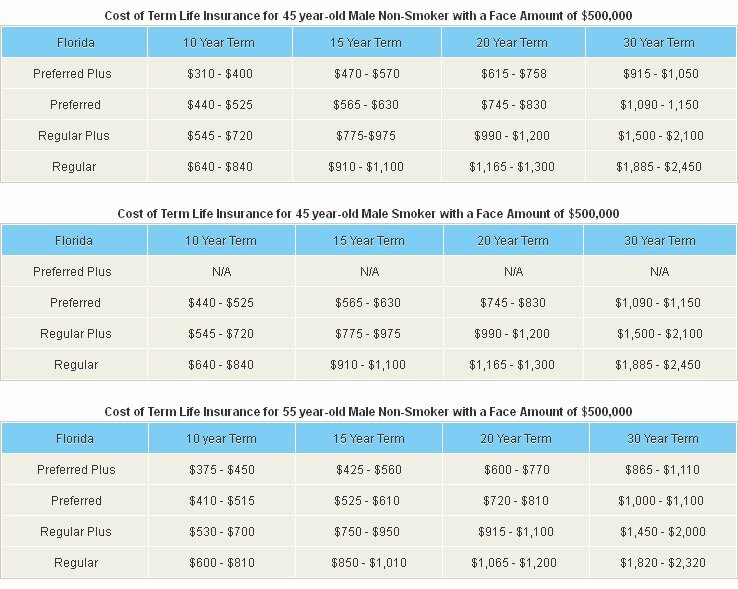 Term life insurance, universal and whole life policies have their own benefits. One thing they all have in common is that they get more expensive, the older the applicant. Age and smoking are two factors that make a large difference to the rate that you receive.